If you’ve seen the 2013 Reverse Proof American Gold Buffalo up close and you can scrape together the cash, it’s hard not to buy one. I was fortunate to see several trays of them in early June while touring the West Point Mint for its 75th anniversary. The experience cost me $1,640 because I had to take the plunge and get one. Well, to be fair, it cost my wife $1,640 as she couldn’t resist making me happy and placed the order. And since she used "her" money, I guess I should buy another or get a regular proof version with "my" money… Right? Anyway, I’m not alone in wanting one after seeing it. The reverse proof Buffalo has been a hit at the ANA’s World’s Fair of Money in Chicago. 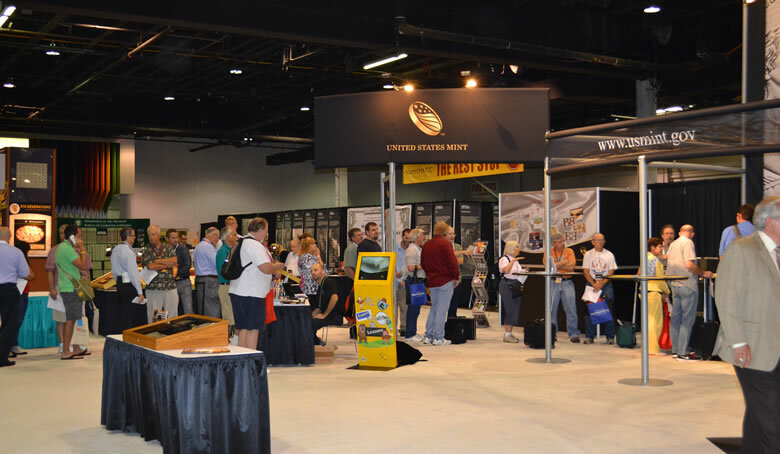 The United States Mint brought 1,000 of them to the convention and people waited in line for two hours to take one home. All 1,000 sold out on the first day. More Gold Buffalos are being shipped from West Point and will be on hand Friday for show attendees, though there will be a limit of 5 coins per person. There are no limits when ordering from the Mint’s online store here, but you’ll have to wait to get them. It’s kind of surprising to see how many have already sold. Who would have thought that the Mint would take in more than $50 million in sales in just one week? Not me. It does look like yesterday’s price increase might have cooled sales today. 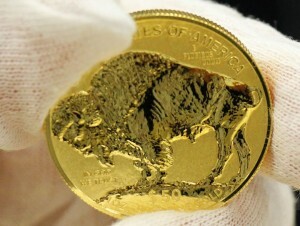 The Gold Buffalo went up $50 to $1,690 in response to surging gold prices. The latest price is based on an average of the precious metal that falls within $1,300 to $1,349.99 an ounce. If gold prices continue to stay where they are or surge higher — gold is sitting at $1,366.70 an ounce now, the cost of the coin will move up by at least $50 on Wednesday, August 21. Sales of the 2013 Reverse Proof American Gold Buffalo end on September 5, or 21 days from now. If you haven’t already ordered one, try to convince your spouse to do it. It’ll really make your day. Good luck. Get the regular one if you dont have that one yet! Its really a 2013 set – cant just have half of it. Big surprise here is which coin is going to be worth more in a decade or so!?! Were these ‘citizen collectors’ or badge carrying early bird dealers getting their quota to resell to the shopping network? If there ARE actually more offered tomorrow in Chicago, and/or if the Union Station store starts selling them, I may change my mind, but so far it looks like a big scam. Thank you U.S.Mint. ordered mine on 8/8/ and it MAYBE shipped 9/8, these people walk in and pick one up right away. Why do I have to wait a month? Still haven’t received my proof eagle yet. That’s going to be MAYBE 3 months. Is the amount sold at the chicago ANA included in the mintage numbers above? Good post. Nice coin. BUT…..
1000 coins sold to attendees with more on the way…. lets see, I place my order for the damb thing the day it comes available and I have to wait for another month for it to ship!! Attendees just walk in and grab one – this really ticks me off.